Ever wondered how our Habibat Access Tiles work? The Habibat Access Tile consists of a vacuum-moulded plastic cowl embedded into a tile of your choice. 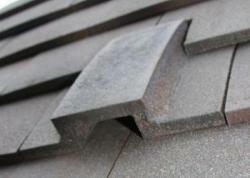 The access cowl is designed to prevent rainwater ingress to the roof but is of correct size and roughened to be suitable for bats.